Many, many months ago DropChef asked if I’d like to try their service, They said they would deliver all the ingredients for healthy meals to my office and I could go home and cook it according to their recipe. I’m not one to say no to a free dinner, even if I have to cook it myself, so I gladly accepted. It contained a styrofoam box to keep everything lovely and cold. When I opened it up the ingredients were colour coded according to which meal they were for. Nicely played. There was an introduction letter which recommends reading the recipe from beginning to end before starting (I am TERRIBLE at this). You’re getting the recipe and all the ingredients but you’ve still got to do the prep and cooking yourself, you get peppers, not chopped peppers so you get to cook. DropChef say that average prep times are about 30 minutes. 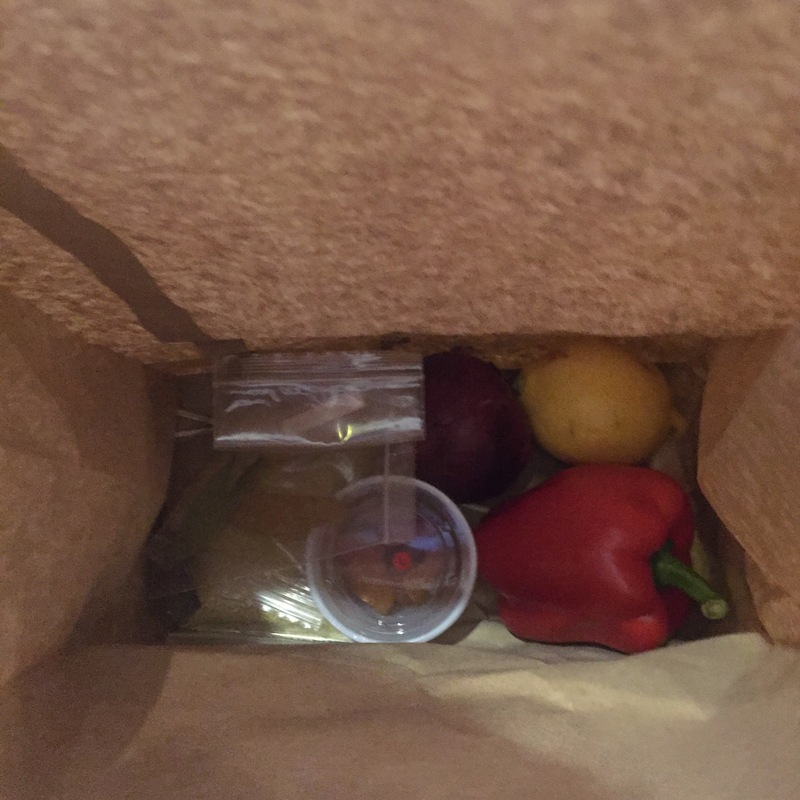 Here’s what the inside of the bags looked like, containing the right quantities for dinner for two, no waste. I received the ingredients for a chicken dish and a lamb dish. The Chicken Pilaff was my favourite, it was absolutely perfectly balanced in terms of flavour and was healthy to boot. Hooray. The ingredients were great quality and very fresh, DropChef pride themselves on this. The recipes were really great, not too complicated to cook but very tasty and healthy too. There’s a choice of meals every week, the box is delivered to you on a Monday, and you get three meals. Check out all the terms of the service HERE, you can change your options at any time and suspend the service too. 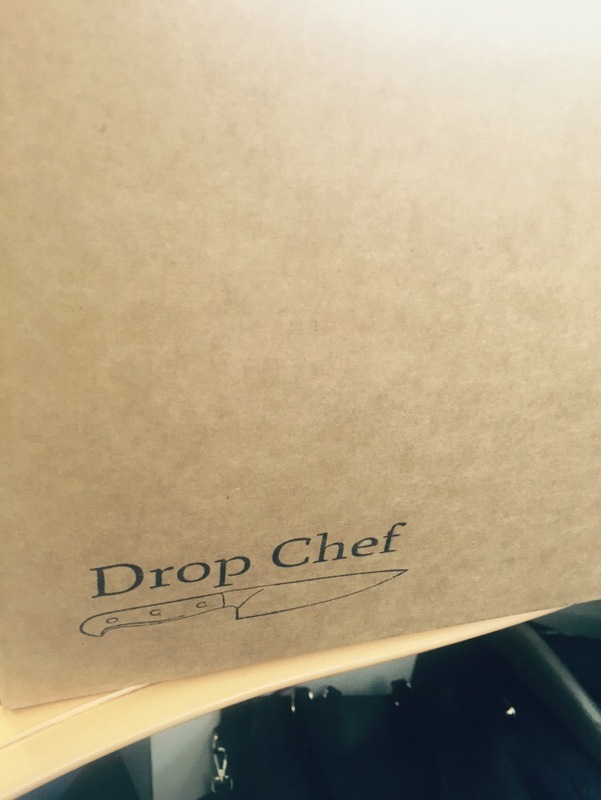 DropChef currently delivers on Mondays to home and offices in the Greater Dubline area. I made this, but DropChef made it easier! But get this, they don’t just send you hampers to create your own delicious food at home, get this : “At DropChef, we believe that you should try to make the world a better place. Our Cook-One-Feed-One™ program is at the heart of this idea. For every meal you cook with DropChef, we’ll donate one meal to a child in need.” Isn’t that a great idea? Good work DropChef. If you like to good but find it hard to get the time to have the inspiration for what to cook, if you don’t have time for shopping or menu-planning or if you hate waste then DropChef is a great option for you. Disclosure: I received a sample DropChef hamper for the purposes of this review but all opinions are my own.